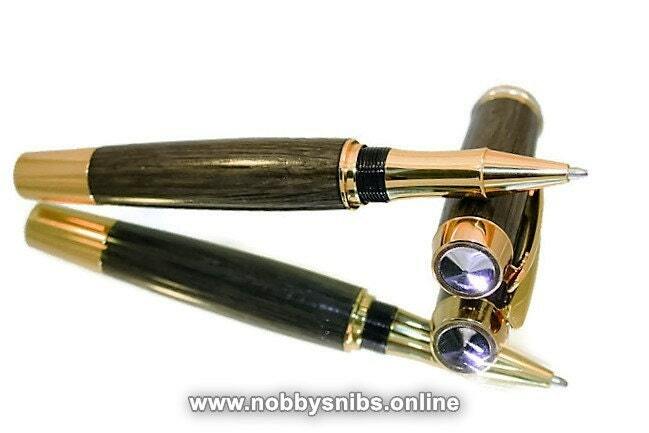 Wooden Rollerball Pen in Ancient c5000 yr old Irish Bog Oak. 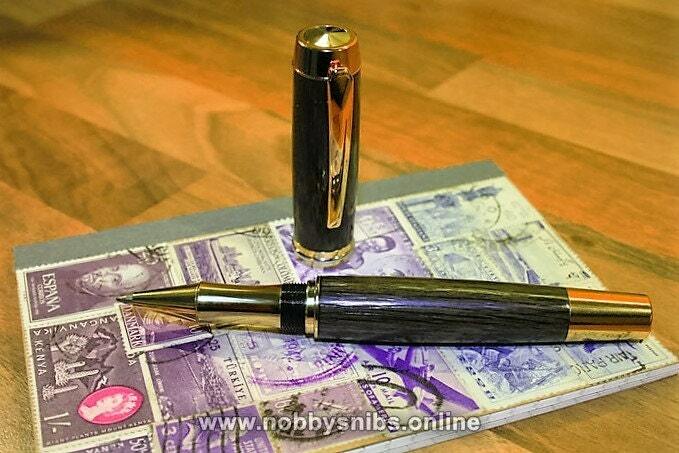 - Handmade rollerball pen in ancient Irish Bog Oak. - Similar wood recovered from peat bogs in the same area has been carbon dated at between 3000 & 5000 years olf. 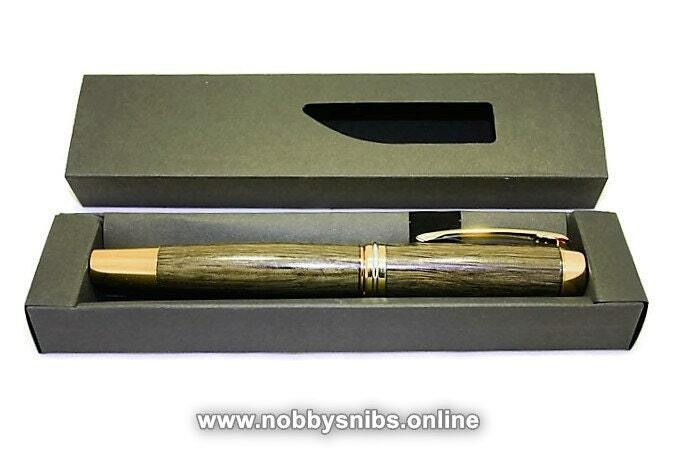 - The pen in the pictures is the actual pen you will receive. 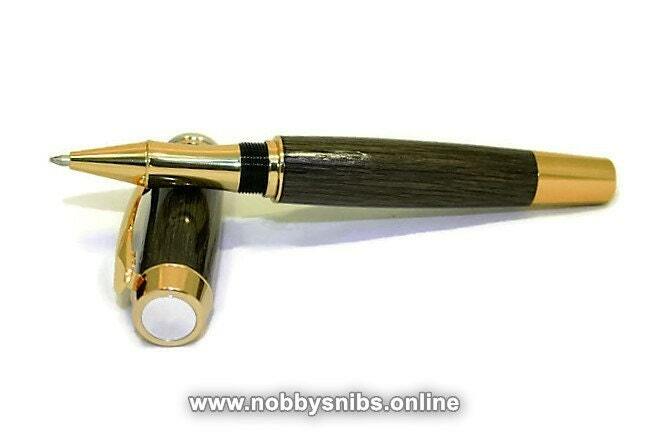 - This is a posted fountain pen (i.e. 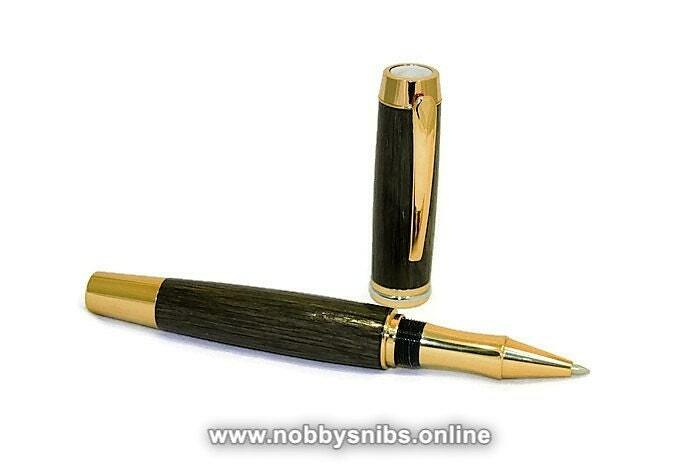 the cap can be screwed on to the barrel of the pen whilst in use). - This pen accepts a Standard Rollerball Ink Refill available from good stationery stores and comes with one in black ink. - This will come securely wrapped and in a card presentation box as pictured.